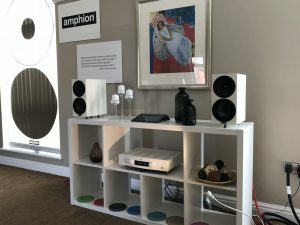 The North West Audio Show is one of our favourites, it is in a characterful hotel, free to enter, and much more relaxed than the “big” shows and this year Auden Distribution are showcasing Amphion loudspeakers and CAAS Audio. The main system will be a pair of Amphion Krypton3 driven by the CAAS e-pre, and 2 e-mono pre-power combination and as we are taking up the whole of the Bell Suite, we have plenty of space to let the system really sing. 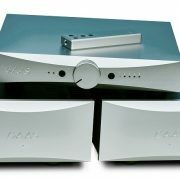 CAAS Audio was recently reviewed in Hifi+ where Jason Kennedy wrote “The CAAS trio is one of the most musically engaging and resolving amplification systems around”, we wouldn’t disagree. The Amphion Kryptons are the result of many years continued evolution and are the Amphion reference for home audio. Trickle down from this model has seen the Argon range garner numerous excellent reviews in the press including Argon 7LS on Hifi Pig and Argon 1 in HifiChoice. The system will use MusicWorks furniture, isolation and power products, and Audiomica labs interconnects and loudspeaker cables. Source will be a Merging Nadac. All together, an extremely capable and musical system that we are looking forward to playing. There will also be a more lifestyle system to demonstrate the newly updated Argon 0 and Argon 1 models, it is surprising how good a more modest system can be and as with the bigger system, this is a very enjoyable way to listen to your music. On display we will also have the M2Tech range including RockStar series, and the Aria Piccolo+ from DigiBit, both the subjects of recent great press reviews. 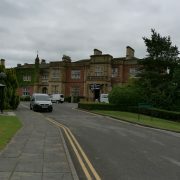 Well worth a visit, hopefully we’ll see you over the weekend! 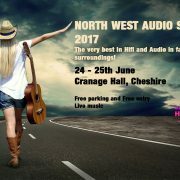 We had a very successful North West Audio Show last weekend, with lots of positive comments about the system we were playing. Fed by a Merging Technologies Nadac player, the CAAS audio E100 amps really showed what they are capable of, very articulate and authoritative. 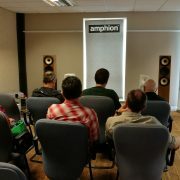 It was the UK debut of the Amphion Krypton 3, they relished the power and control from the CAAS amps and surprised quite a few people with what they deliver for the price. Interconnects and loudspeaker cables were of course by Audiomica, they never let us down. MusicWorks provided the power connections and furniture. They again caused the usual “I’ve heard it but I don’t believe it” reaction to the PEEK isolation products, especially to the new cable isolators. 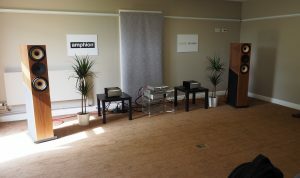 We had the Amphion Argon range, the CAAS Audio range, and the clever Sbooster power supply range all on static display too, which created an interesting room well worth visiting. Overall it was a good show, a weekend in a pleasant environment, in a nice part of the world, playing good tunes on an amazing system. What’s not to like? We will be at the North West Audio Show on 24th and 25th of this month showing off a few of the brands we are working with and one or two product debuts. 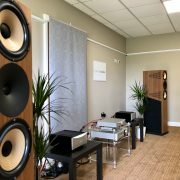 A pair of the excellent CAAS Audio Elysian 100 mono blocks will be driving the system, these are well worth hearing as the guys at Inearspace found out when they had them for review. The Amphion loudspeakers will of course be there including the latest Argon models the 7LS, 3LS and 3S. I’m hoping to have a surprise product but am just working out the logistics. The interconnects and loudspeaker cables will be Audiomica, we’ve yet to hear anything better. MusicWorks will be providing the system furniture, mains block and cables, and PEEK isolation. You may have heard the PEEK cones and they will be there again, but I will also be using a new product form MusicWorks. If you haven’t heard how PEEK can transform the performance of a system come and have a listen, you’ll be surprised. The source for the system will be the Merging Nadac Player, kindly loaned to us by Ultimate Stream. It is free to enter the show, it is in very nice surroundings in a lovely part of the world, come and see us and have a listen.